Indonesian Food Recipes. Hmm, delicious meat chicken is tender and the potatoes were disemur, spices, sweetness has seeped into the meat into chunks of chicken and potatoes. Indonesia distinctive flavor. 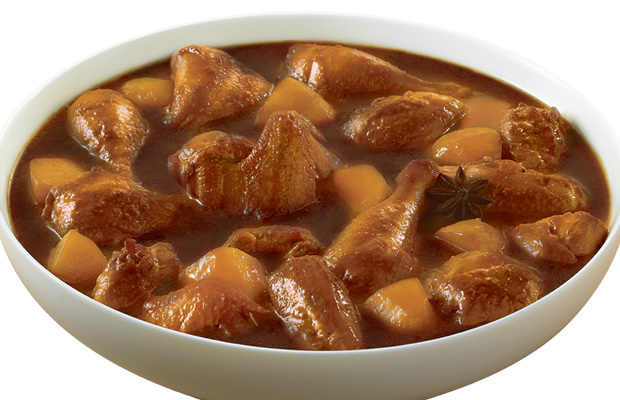 Semur This chicken recipe is easy, practical and rich flavors of spices typical of Indonesian cuisine. Saute ground spices together lemongrass until fragrant. Add chicken, and cook until fused with herbs. Add the potatoes, sweet soy sauce, water, chicken broth, salt, sugar, pepper and nutmeg and cook over low heat until slightly thickened water. Add fried onion, stir, cook briefly and then lift and serve.